Some of their Northern California performances have included: the Dorothy Spreckels Performing Arts Center the Zeum, San Francisco City Hall, Randall Museum, Koret Auditorium, Yerba Buena Gardens Special 9-11 Peace Concert, Channel 25 TV, numerous radio appearances, and as featured artists for the Annual Alzheimer’s Walk on Treasure Island. In 2003, Diana hatched an ambitious project called Lily’s Treasures which resulted in a book of original compositions by BAYHE members based on a story written for BAYHE by author Maureen Ustenci. 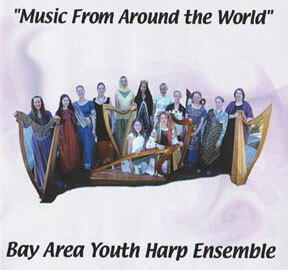 In 2005, BAYHE recorded a CD of multi-cultural and original music (written specifically for harp) called Music from Around the World (Check out BAYHE’s Cd, at: www.cdbaby.com/cd/bayhensemble). Under Diana’s guidance and with the help of Assistant Director Shawna Spiteri and Assistant to the Director Portia Diwa, they put out a CD of world music in 2005. 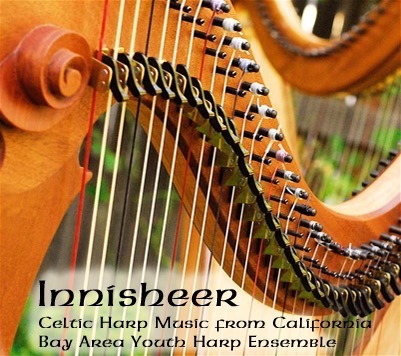 In 2014, BAYHE released a CD called “Innisheer” which features traditional Celtic music along with a number of original Celtic-inspired compositions and “California”-inspired arrangements of traditional tunes. It also includes performances by a number of BAYHE alumnae. 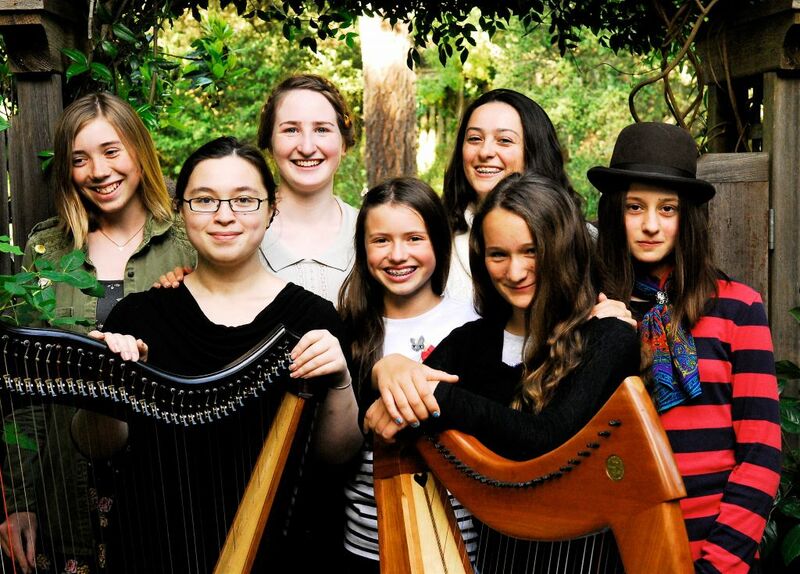 During the summer of 2016, the Humboldt Redwoods Interpretive Association hosted the Bay Area Youth Harp Ensemble’s tour and concert series in the groves of Humboldt County. Under the supervision of BAYHE Director Diana Stork, the girls themselves were resposible for organizing the tour, including the preceding (and successfully funded!) Kickstarter campaign. In the Garberville area, the ensemble played their forest-inspired music for outdoor audiences in various campground amphitheaters. 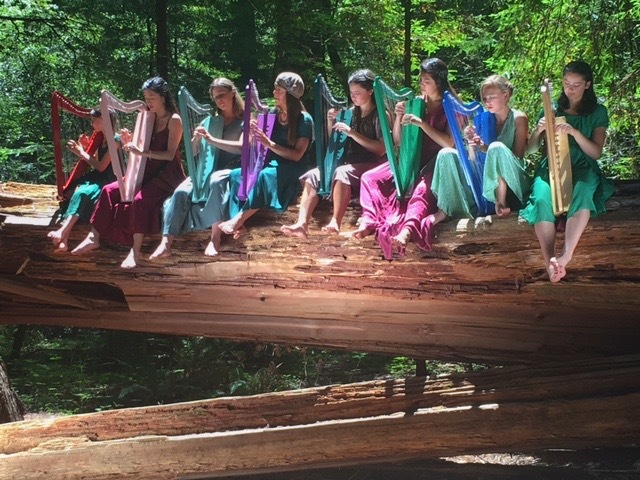 The girls played their colorful Harpsicle harps while circling among redwood trees, standing upon fallen giants, and while walking next to babbling creeks. In addition to the musical offerings, park rangers and a representative from the Humboldt Redwoods Interpretive Association were present to talk about the urgent fight to save the redwoods in Humboldt County. 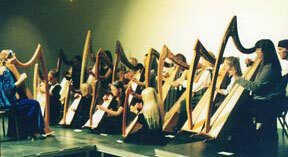 The proceeds from the Ensemble’s performances were given to the HRIA. In addition to playing their concerts, the ensemble filmed three music videos under the direction of award-winning filmmaker and harpist Micha Dunston of Triple Spiral Productions. 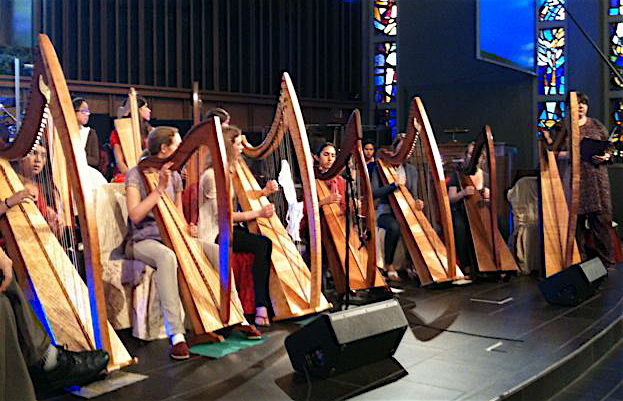 Diana has been assisted over the years by a number of well-known Bay area harpists and harp teachers including Shawna Spiteri, Portia Diwa, Jasmine Low and Amelia Romano.